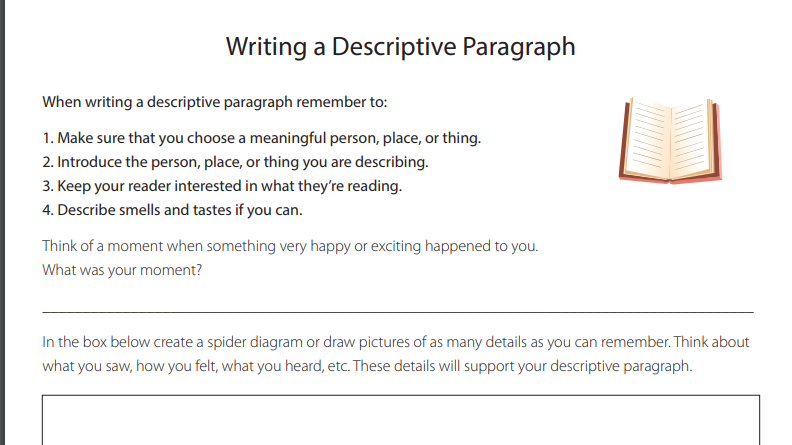 When writing a descriptive paragraph remember to: 1. Make sure that you choose a meaningful person, place, or thing. 2. 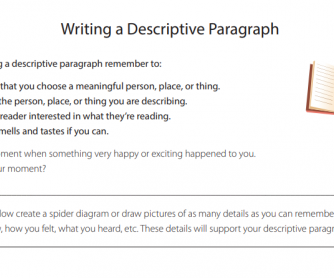 Introduce the person, place, or thing you are describing. 3. Keep your reader interested in what they’re reading. 4. Describe smells and tastes if you can. Students think of a moment when something very happy or exciting happened to them.